And then we all might not have the money to buy those awesome shoes or that fab handbag..
Do we dare buy fakes then? 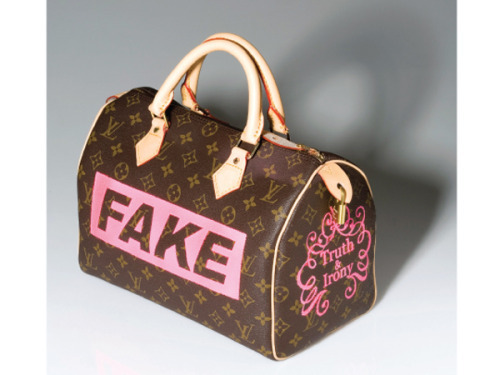 What do others (the 'designer branded')people think of 'fakes'?? What I have always wondered is…does suppressing the counterfeit market really bolster the sales of the originals. 99% of people who buy the 20$ knock-offs, will never buy a 1500$ original. So its not really affecting the sales of Vuitton. In the same way, a fake is easily identifiable. It fools no one. So why spend all the time and effort going after them. I know my argument is not wholesome. Well I for one, will buy something I like.. Like I saw a nice bag in a shop about a month ago, I was drawn to the beads on it and asked the guy to show it to me.. And he pulls this longish black bag made from patent with beaded short straps thats you rest on your forearms.. And then he proceeded to show me that it had a longer attachable strap to make it an across body/shoulder bag.. I wanted that bag so bad! I asked for colors and he showed me a brown and I was 'eh' and he showed me a red and I was like 'yikes' and then a purple and I almost yelled 'gimme gimme' and I looked at my mum.. My mum has to buy the stuff, so whatever I have is from her.. (Of course I start working in another 4 days, and I will have to wait for my pay.. for a while) Also my mum has weak bones and bad back problems, so she can never carry a handbag.. All she can carry is a sling bag.. So I told her we both could carry it at times (FIB)..
She was like 'I dunno about the purple, the brown is nicer' and I kept telling her that the purple was the best and the brown was just whatever.. She agreed to put a deposit on it, as we did not have the money at the moment, but we were still arguing about which one we wanted - the brown or purple and in the end by mistake I said the brown..
All this time a girl glared at me from the other end of the store with a dirty look and she kept eyeing my precious bag!! Finally we walked out and it dawned upon me that we were getting the brown one, and I was like I want the purple.. I want the purple.. I WANT IT!! My mother then agreed to get both! I ran back to the shop and that b**ch already took my purple bag (and tried to ask for my mother's brown one too).. I hated my mother all day! We gave our cell no.s so if there was another piece he could call me ASAP.. Till now no call.. SCREEAAAMMM!! I know I am mean, but I cursed that girl.. I was really furious that day..
Oh and BTW the bag happened to be a 'CHLOE' bag..
My mum showing off the yucky bag! More than a month ago and I am still not over it.. God help me! Anyway, thats what I meant by picking up fakes.. I pick it up cuz I genuinely like it, and not because it has a (FAKE) label on it..
How to distinguish genuine Louis Vuitton from fake one? How to tell if the bag your are bidding is a cheap fake LV? 1. It has a tan or brown suede interior! 2. It's tag is on a piece of string with a little white plastic circle that has a brown LV on it! 3. The logos are not a caramel brown color but more of a green color! 5. The trim is not leather but PVC! 8. The shape is crooked or lopsided! 9. A real Louis Vuitton would never have hangtags, stamps on paper tags or sticker on tags. I find these on the streets for 5 dollars.. AS IF! 'Good quality fake bag for 20 dollars' say this one below! Looking for an authentic Guess bag??? 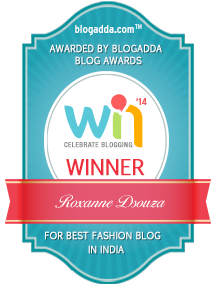 1 Determine if the purse is from the current season or not. If it is supposed to be from the current season, yet is absent from the list of current purses on Guess.com, it is likely a fake. 2 Examine the body of the purse closely if it is an out-of-season design. Stitching should be flawless and tight. Crooked lines, color mismatches and shoddy stitching are all giveaways that the purse is not an original Guess. 3 Check all of the purse's zippers, buckles and logos. Guess uses a uniform line of hardware for all its products, so all of the hardware should look the same as other Guess purses--check out the website if you need a guide. 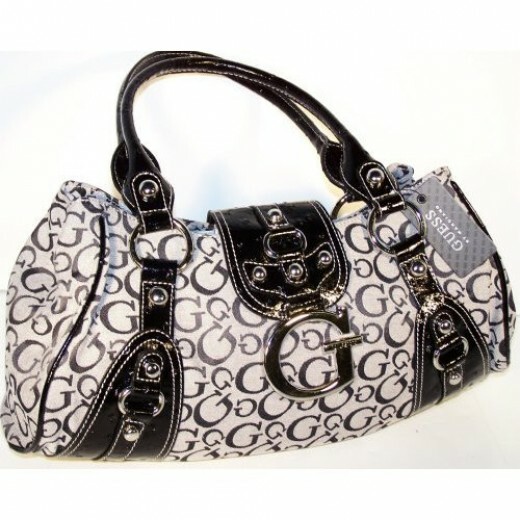 All zippers should have a small "Guess" written on them and there is always a Guess logo on the outside of the purse. 4 Look at the lining. Lining is a dead giveaway because Guess uses a thick cotton twill or similar material to line its products. The hallmark of a fake is a cheap, loose-fitting and flimsy lining that feels synthetic and paper-like. 5 Check the packaging, tags and bags that the purse comes in. Guess purses and handbags come with a dust bag that only has one "Guess" written across the front--nothing else. Labels of authentic Guess products are always rounded and gray, with Guess on one side and normally the price, model number and barcode on a white sticker on the opposite side. Purses come in red or white boxes with "Guess by Merciano" written on it. There are many ways to tell if a UGG is a fake. 1) The bottom of the boot is raised or embossed with the UGG insignia in a Classic tall or short Authentic Ugg. A fake is flat. 2) The seller says they are made in New Zealand or Australia for a Classic Tall or Classic Short. Uggs are Manufactured by Deckers Inc. They have been making them in China for the past 3 years. They used to make them in Australia and New Zealand but have not for 3 years or more. The uggs that are advertised as made in Australia or New Zealand are FAKES. They are not from Deckers Inc. They have copied the label and insignia but they are not from Deckers Inc.
4) The ones that are fake do not have a raised or embossed insignia on the bottom of the soles. 5) You can report to UGG Australia any fake ones you see on ebay at info@uggaustralia.com or at the bottom of an auction of a Fake Ugg click on Report this Item. 6) Ugg Australia has required any Authorized Ugg Dealer to promise and sign an agreement not to sell on ebay. If the price is below retail then it is most likey a fake as only Ebay sellers who buy the boots retail are allowed to sell on Ebay. This is from the Deckers Web site: "eBay Sellers/On-Line Auctions and Trade Boards: UGG® Australia does NOT authorize any of its dealers to sell on eBay, any other on-line auctions or trade boards. UGG® Australia's agreements with its dealers prohibit sales on auction sites. Accordingly, UGG® Australia does not offer its limited warranty or rebates for products purchased on these sites and will not assist with resolution of any disputes including assistance with Pay Pal refund requests." So if they are buying them retail with tax and having to pay ebay and pay pal fees and they are not seconds and are grade a boots they will be selling for more than retail. Any boots you see being sold less are usually fakes. The price of the boot is a good indicator for a fake. 7) The quality of the stitching on the fakes is very bad. 8) The box is different: Genuine Ugg Box is one piece with a flip open lid attached. It is a strong sturdy box. The words "UGG Australia are wrten in the middle of the lid. The Ugg Logo is a starbust orange sun. It is not big but small. Ugg now as of May 2007 has a new box. It is a flip top box. 9) The Care Booklet that comes with the boots is in white. It has the words "Ugg Australia" embossed and it is square. Fake ones are badly printed and in silver. The pictures in the booklet are sharp and clear. The fakes ones are not. They have been scanned and printed in color and appear fuzzy or unclear. The colors are exaggerated.As of June of 2007 the Care booklet has been replaced with a cream colored card and an insert also in the beige color. Ugg no longer puts the white booklet in the box with the boots made after June of 2007. 10) Fake Uggs do not run a size larger as the real uggs do. 11) Fake Uggs are smaller with a wider ankle. 12) Fake Uggs are taller than real uggs. 14) Some fakes are not sheepskin but wool dyed and will smell of the dye. it smells of paint/lacquer which comes from the dye used on the synthetic materials.16) The UGG label on the rear of the boots is higher up on a fake and the lettering is different from the genuine Ugg. The letters may have gaps between them in the fake in the real they are overlapping. 15) The shape of the front part of the fake ugg is shorter and goes up at more of an angel than the genuine UGG which has a rounder longer finish. 16) The Black Uggs have a black Sole and a Black Label with Ugg in white. The fake have tan soles and a brown label. 17) The sole in a real ugg is flexible. The fakes are rigid. 19) The height can be either taller or shorter than the authentic Ugg. One classic tall received recently from a fake was 10 inches tall for a size 6 US compared to 12 1/2" 6 US for the authentic UGG. This means that the fake is not much taller than a classic short. 20)The box is different: Genuine Ugg Box is one piece with a flip open lid attached. It is a strong sturdy box. The words "UGG Australia are written in the middle of the lid. The Ugg Logo is a starbust orange sun. It is not big but small. As of April 2007, Ugg is not making the box with a seperate lid. The top of the box is no longer attached to the bottom. There is a big sunburst on top and 'ugg australia'. The side of the lid has www.uggaustralia.com. 21) The fake may have a blue label pinned to it or a brown cloth protection bag which says "Snow Boots" - these are not provided with Authentic Uggs. 22)The font of the inside label on a fake is different from a Genuine UGG. and the outside label will have the 'australia' in a bolder font on the fake . The label inside should say made in China. If it says made in New Zealand or Austraia it is a fake. 23) The selller leaves out any mention of Deckers in his description. He is selling Australian Uggs but not Deckers Uggs. Don't be fooled by this if you want Deckers Uggs. The box used is similar and copies Deckers Box and Logo, but they are not Deckers Uggs. If you email the seller he will tell you that he does not sell Deckers Uggs. An unsuspecting buyer sees authentic and thinks they are getting Deckers . The seller i is sellling "authentic" australian uggs and leaves out any mention of Deckers. 24) If the Nightfall is any other color but Chestnut it is a fake. Deckers only makes Nightfall in Chestnut. 25)If you see a Sundance in any other color but Chestnut Sand or Chocolate it is a fake. Deckers has stopped making it in Black. There may be old stock around but any ones selling large amounts are probably fakes. 26) Follwoing is a wonderful guide with pictures sent to me by an ebayer who had purchased fakes for his daughter. 1. Most of the fakes are sold from sellers (with either low or zero feedback) in The Netherlands, Sweden, Denmark, Dominican Republic, Greece, Italy, Australia and the Czech Republic. The boots are actually in China and they also charge a lot for shipping and normally only accept Paypal. They will also have lots of them for sale. There are however some fakes that are being sold quite innocently in the UK because they were bought from the organised fakers via eBay and they are found to be too small. The fact is the fake UGGS are indeed too small and this is why they are then resold. A fake size 5 (US size 7) is about 1 cm smaller in foot size. 2. The smell of a fake UGG is a give away - it smells of paint/lacquer which comes from the dye used on the synthetic materials. The fake will often have a blue label pinned to it and also a brown cloth protection bag which says "Snow Boots" - these are not provided with the genuine ones!! 6. A genuine Deckers UGG will have an R in a circle next to the UGG on the sole. A fake UGG will not have the R in the circle on the sole. 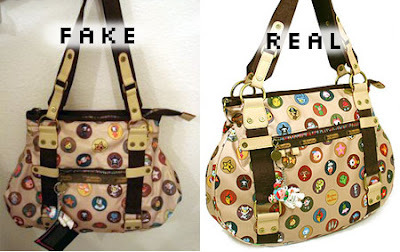 Genuine on the left, fake on the right Now the fakes have copied the R.
8. To my knowledge and indeed from the official UGG website, UGG do not make a CAMEL colour - if your label says 'CAMEL' chances are they are fakes. 9. Finally the price is a huge clue. Genuine UK sourced Decker UGGS are at least £140 - anything substantially less and they are probably fakes. US sourced short UGGS are at least £70 and tall UGGS £85 - again anything less and they will probably be fakes. The stitching on the fakes is very bad. Deckers Uggs do not have any tags hanging from them. They do not have a Blue Label and there is never a mention of Snow Boots or any Brown Protection Bag. The sole of a fake Ugg is about 1/4 inch whereas the real ugg is 1/2 inch thick. Some sellers will sell a KIds ugg for a womens ugg. You can tell as the label has all the sizes Euro UK and US on a kids ugg whereas the womens ugg only has the US size on it. A shoe salesman sent this to me as another way to tell a fake ugg. Try holding the fur and then the outside leather and separating them (pinch each and pull apart)... if they do then you know since sheepskin is only one layer with two different sides... fakes are two layers stitched together. The boots matched your "real" photos perfectly. The box, while it had the unattached lid (supposedly pre-2007,) matched. The paperwork matched exactly. My wife took them to an authorized dealer to confirm their authenticity. They were very impressed with the lengths they have gone to make them look legitimate, but there were a couple key differences. 5) The upper part of the boots did not roll down easily as they should "
P.S - Did you know that it is completely illegal to carry a 'FAKE' in Charles de Gaulle (Paris)? You can be imprisoned and fined upto 1000 euros! YIKES!